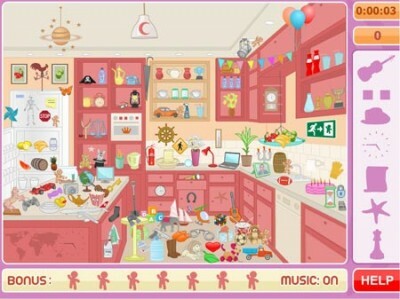 Messy Kitchen Hidden Objects. Games online. Your kid is very naughty and has wrecked havoc in your kitchen. Try finding all the objects in the list. You could also collect bonuses, which give you extra points. There are several levels. Have fun!